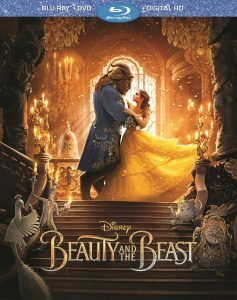 In episode #79 of Zip-A-Dee-Doo-Pod, “Beastly Kingdoms,” listeners have a chance to win Beauty and the Beast (2017) on Blu-ray/DVD *or* its soundtrack on CD. The “Beauty and the Beast 2017” giveaway (“Giveaway”) is sponsored by The Thinking Fan’s Guide to Walt Disney World: Epcot (“Sponsor“). Giveaway is governed by these official rules (“Official Rules”). Not a contest. Not a sweepstakes. By participating in the Giveaway, each entrant (“Participant”) agrees to abide by these Official Rules, including all eligibility requirements, and understands that the results of the Giveaway, as determined by Sponsor and its agents, are final in all respects. The Giveaway is subject to all federal, state and local laws and regulations and is void where prohibited by law. Giveaway begins at 10:00 p.m. Eastern Time on June 14, 2017 and ends at 11:59 p.m. Eastern Time on June 23, 2017 (“Entry Period”). All entries must be received by 11:59 p.m. Eastern Time on December 18, 2015. 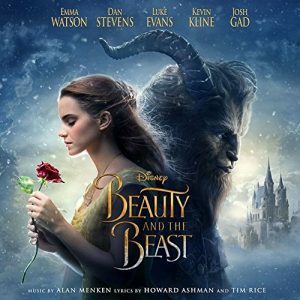 To enter, compose an email identifying your favorite song related to Beauty and the Beast and favorite version of said song and the item you would choose if you were to win, and then send that email to podcast@aaronwallaceonline.com (“Sponsor’s Email Address”). Email must be received at the Sponsor’s Email Address within the Entry Period to be eligible. No purchase necessary. One (1) winner will be selected at random from all eligible entries upon the expiration of the Entry Period. Winner to be determined using a random number generator script at Sponsor’s discretion. One (1) entry per Participant. Giveaway open to residents of every country except where prohibited or where U.S. Postal Service is unable to deliver for any reason. Must be age 18 or older to enter. Void where prohibited. Sponsor reserves the right to disqualify any entries made in bad faith or suspected of bad faith. Giveaway may be terminated at any time without advance notice and without conferring rights to any Participant. Sponsor not responsible for shipping damages or incidental costs. Winner will be notified via email reply on or after June 23, 2017 (the “Notification”). Winner must respond to the Notification, via email to the Sponsor’s Email Address, with full name, a valid email address, and a valid shipping address within seven (7) days of the Notification; failure to do so may result in forfeiture, after which a different Winner will be selected at random according the procedure(s) described above. Sponsor is not responsible for emails that are undeliverable, fail to send, fail to deliver, blocked, are rejected, or are direct to spam filters or junk mail folders. In the event the Winner does not receive the Notification email because it is directed to a spam filter or is otherwise not received, the Winner will be deemed to have forfeited. Winner agrees that the Sponsor, the @aaronwallace Twitter account, and the Zip-A-Dee-Doo-Pod podcast may publicly announce the Winner’s name, the content of the Winner’s entry email, and the Winner’s giveaway selection. Winner will receive one (1) copy of either item described in the giveaway offer (the “Prize”), subject to change. Approximate retail value estimated at $39.99 U.S.D. (for the Blu-ray combo pack) or $13.99 U.S.D. (for the soundtrack CD). Sponsor, @aaronwallace, AaronWallaceOnline.com, the Giveaway, and the Sponsor’s publishers are not, to the Sponsor’s knowledge, authorized by or affiliated with The Walt Disney Company, Amazon.com, or any other third party. Giveaway has not been authorized by and is not affiliated with The Walt Disney Company or its subsidiaries or affiliates. Prize is non-transferable. No substitution or cash equivalent of prizes is permitted. Sponsor and its respective parents, affiliates, subsidiaries, agents, and representatives are not responsible for any typographical or other errors in the offer or administration of the Giveaway, including, but not limited to, errors in any printing or posting of these Official Rules, the selection and announcement of any Winner, or the distribution of any Prize. Any attempt to damage the content or operation of this Giveaway is unlawful and subject to possible legal action by Sponsor. Sponsor reserves the right to terminate, suspend or amend the Giveaway, without notice, and for any reason, including, without limitation, if Sponsor determines that the Giveaway cannot be conducted as planned or should a virus, bug, or unauthorized intervention, technical failure, Act of God, or other cause beyond Sponsor’s control corrupt the administration, security, fairness, integrity or proper procedure of the Giveaway. Sponsor and its respective parents, affiliates, subsidiaries, agents, and representatives, and any telephone network or service providers, are not responsible for incorrect or inaccurate transcription of entry information, or for any human error, technical malfunction, lost or delayed data transmission, omission, interruption, deletion, line failure or malfunction of any telephone network, computer equipment or software, the inability to access any website or online service or any other error, human or otherwise. BY ENTERING THE GIVEAWAY, EACH ENTRANT AGREES TO INDEMNIFY, RELEASE AND HOLD HARMLESS SPONSOR AND ITS PARENTS, AFFILIATES, SUBSIDIARIES, ADMINISTRATOR, THE SPONSOR’S AUTHORS, THE SPONSOR’S PUBLISHERS, ADVERTISING AND PROMOTIONAL AGENCIES, AND ALL THEIR RESPECTIVE OFFICERS, DIRECTORS, EMPLOYEES, REPRESENTATIVES AND AGENTS FROM ANY LIABILITY, DAMAGES, LOSSES OR INJURY RESULTING IN WHOLE OR IN PART, DIRECTLY OR INDIRECTLY, FROM THAT ENTRANT’S PARTICIPATION IN THE GIVEAWAY AND THE ACCEPTANCE, USE OR MISUSE OF ANY PRIZE THAT MAY BE WON. SPONSOR AND ITS PARENTS, AFFILIATES, SUBSIDIARIES, AUTHORS, AND PUBLISHERS DO NOT MAKE ANY WARRANTIES, EXPRESS OR IMPLIED, AS TO THE CONDITION, FITNESS OR MERCHANTABILITY OF THE PRIZE(S). By participating, each entrant grants Sponsor permission to use his/her name, Twitter handle, and/or the content of his or her entry email for publicity purposes without payment of additional consideration, except where prohibited by law. Any questions regarding this Giveaway should be directed to media@aaronwallaceonline.com.